This is anther one of my go to moves. A cutesy squat with a lat row. Working the Glute muscles and lat muscles In the back. It’s great to alternate sides and get that heart rate pumping. If you want to modify here: quarter squat or just take out the lat row. If you are looking to tone 12-15 reps, 3-4 sets, if your weight seems light the last 3 reps of your last set then maybe it’s time to grab a set of heavier weights (3-5lbs). Fit tip:machines in the weight room are great. Free weights give us the opportunity to use weights more functionally as we would doing our daily activities. They also are a great way to increase your heart rate. Runner or not this quote is so true. What is it about race day that brings out the best in us. The new shoes, Cheering crowd, the rush we feel as we cross the finish line, So accomplished. Our hard work has paid off. The long hours, the sweat, the pain, we have finished the race. It was that one thing that got us started. We set a goal and we tackled it. It seems so simple but yet why do we make it so difficult? This weekend I set some goals: They actually were not workout related they started just with getting my life back in order. My priorities had shifted and I started allowing myself to become overwhelmed. Overwhelmed with very simple activities around my home. With where I was going to start and how much I had to get done. Sometimes it’s not just about the workout. I realized when the ritual of race day is off, you forget your number, your water bottle, maybe you fall at the start of the race, or you didn’t hit your personal best (PR) that you let it consume you. You have failed. It’s hard to get started again. I was letting that sense of feeling unaccomplished around my home eat me up. This list I had to do titled:”before baby” but yet I couldn’t even keep up with the dishes. If you are feeling that it’s time to reevaluate. 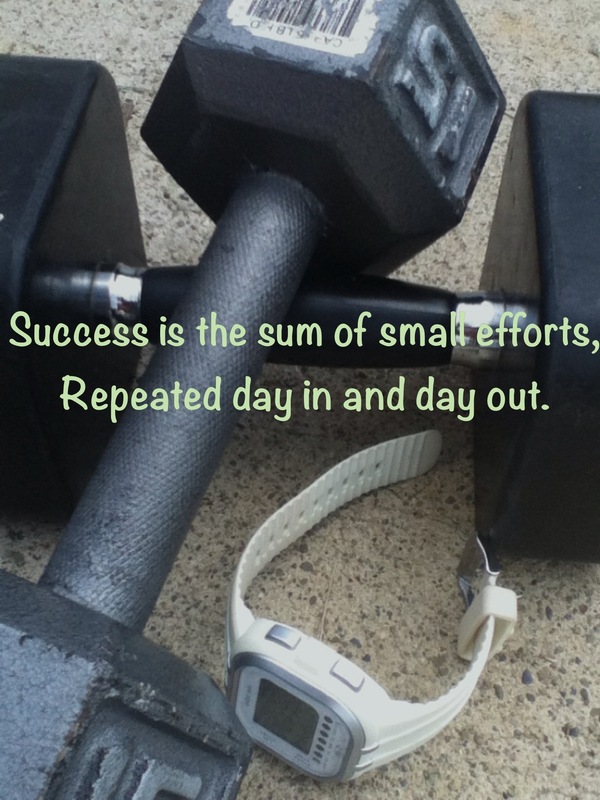 Instead of looking at everything that needs accomplished around your home or how to start a workout regimen. Short out your house and start small. It may be with just completing one small task at hand or walking for just 30 minutes a few days a week, whew when it’s accomplished you feel great right? It get’s the ball rolling and then you are started and moving forward to that finish line, the goals that you have on hand. 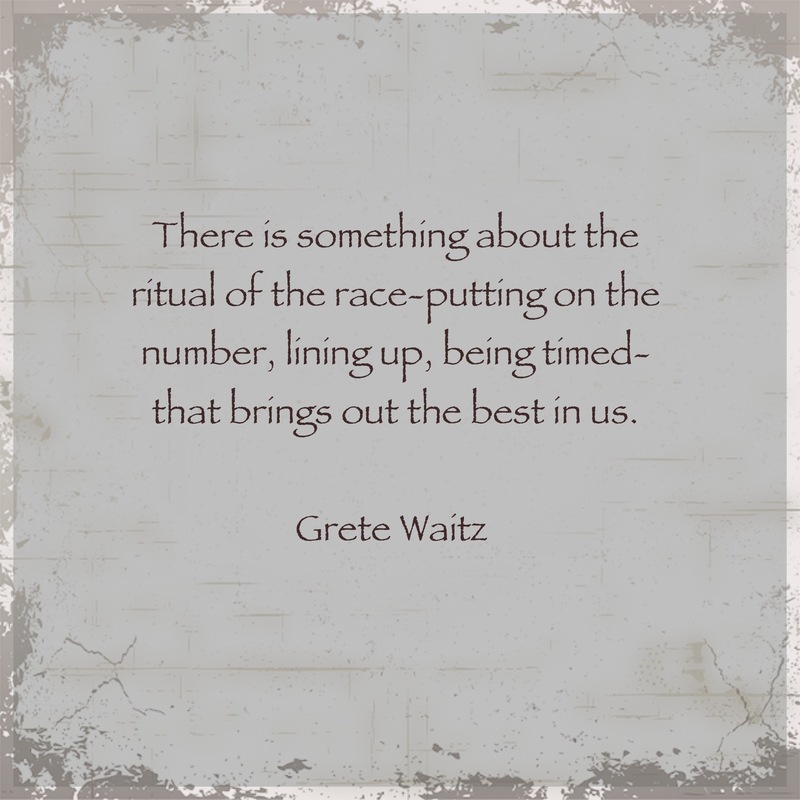 You see race day isn’t just the day you put on your number and line up to run. It’s everyday our feet hit the ground. Let that ritual of race day bring out the best in you each and everyday by starting the day out with small steps. If you would have asked me six years ago if I liked lifting weights. I would have had to tell you occasionally. At this point I would lift here and there and mostly pound the pavement or my treadmill everyday. I would be getting in anywhere from 4-6 miles per day. It wasn’t until the birth of my first daughter that I was struggling to get back to point A. I kept trying the things I knew had kept me fit in the past and they just didn’t seem to work like they once did. I was flat out discouraged. I began reading, researching, and understanding why it is so easy for people to become stuck in a workout rut. I understood why it was easy to give up and become complacent both physically and spiritually throughout life. If you are currently feeling like this, you aren’t alone and I want you to know that part of the process is believing in yourself and starting with small steps. Don’t let the big picture overwhelm you. New Years hit that year and I was ready to make some changes. I had a one year old and I was ready to feel good again. To have energy and to live with purpose. I wanted wear something besides the same two outfits I had worn all year! My husband started giving me some pointers. He encouraged me to start lifting more and I did. Over the past six years I have read and learned so much about the bodies response to weight training. Over the past six months I have especially realized through becoming a certified personal trainer that it is a major component of any workout regimen. Pregnant women: It can help prepare you for childbirth, help you recover your pre-pregnancy weight, strength and flexibility levels. This is a pretty meaty topic. 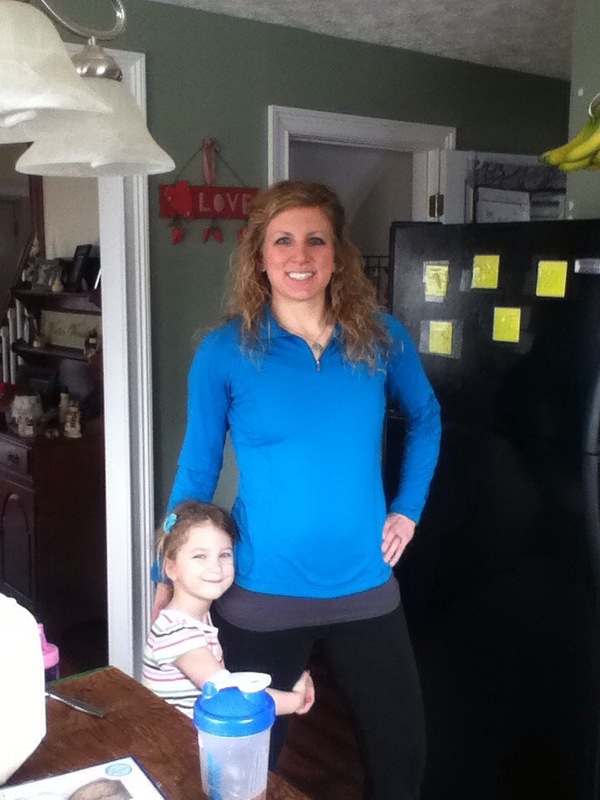 Look for Part’s 2-4 of the Why Weight’s Series over the next three weeks on Live Fit’s Blog. This information can seem overwhelming, small steps. Small steps are rewarded in both our physical and spiritual walk. The changes you start today on your spiritual and physical walk are an investment in yourself. The Lords rewards us for our faithfulness. Physically as we take charge of our physical health we begin to see results on the outside. While on our spiritual journey it’s a matter of the heart and letting God in to help us when we become discouraged in knowing we can’t do this alone and we need him in this life. Yesterday I had this great plan of action in my head for my workout routine. My husband recently moved our weight room around and I needed him to plug in my treadmill before he left for the gym early morning. Which he did not. So, I slept in and fell back to my plan B: Take the girls for a run in the double jogging stroller. I was really hoping for a good 3-4 mile run. I was just feeling the itch. I think it’s this weather. It reminds me of my countless summers training for Cross country season. I literally unloaded the girls. I had to go to the bathroom. The whole first half-mile was me a twenty week pregnant women sprinting to a bathroom with both kids in tow. It was downhill from this point on. after 1 mile of running I had to go to the bathroom again. Ava my oldest demanded to run on the track. Amelia then climbs out of the stroller and we all are running. The kids had fun and I started to loose motivation. We were off to the playground next to play and to the library to take out a few books for the girls. Frustrated mid-afternoon because I still hadn’t worked out and I was starting to literally feel sluggish and icky. I stubbed my toe and I think I broke it and my brother shows up with my dads f150 and a truck load of firewood for our log pile. I sighed. Because, honestly if I don’t do it by mid-afternoon I have about a 20% chance of working out before I throw in the towel that day due to: dinner, bath-time, and being a pregnant mom of two under 5, the last thing I want to do at 7:30pm is workout. I dropped everything grabbed the girls and said we are working out. I put on my music and warmed up. Was it worlds most challenging and creative workout? No. I decided to kill two birds with one stone. I lifted my back and biceps and in between each set did a 30 second cardio drill. I didn’t give myself much rest except to let my heart rate come down a little bit before I moved onto the next set. The girls rocked their babies to the music and I spent a few minutes breaking up heated arguments over mini strollers. I’m telling you when I was done I felt so much better. I had energy to finish my very unorganized and random day. If you have a hectic schedule or maybe you are a mom like me grant yourself grace. Tomorrow is a new day. Don’t let life’s little interruptions drain your fire. Use them to your advantage to set yourself up for success instead of failure. Let them help you learn quick mindless workouts that give you both Cardio and strength training at once. When we begin to understand more about working out, our muscles and our bodies response to exercise. We can use it in situations were we are pressed for time and still get an effective workout in. 1. Have a plan in place the night before. Set up your week on a planner or in your head about what you want to accomplish workout wise throughout the week. If it is planned you can’t use many excuses to avoid it. You won’t have to worry about what you are going to do on that specific day. 2. 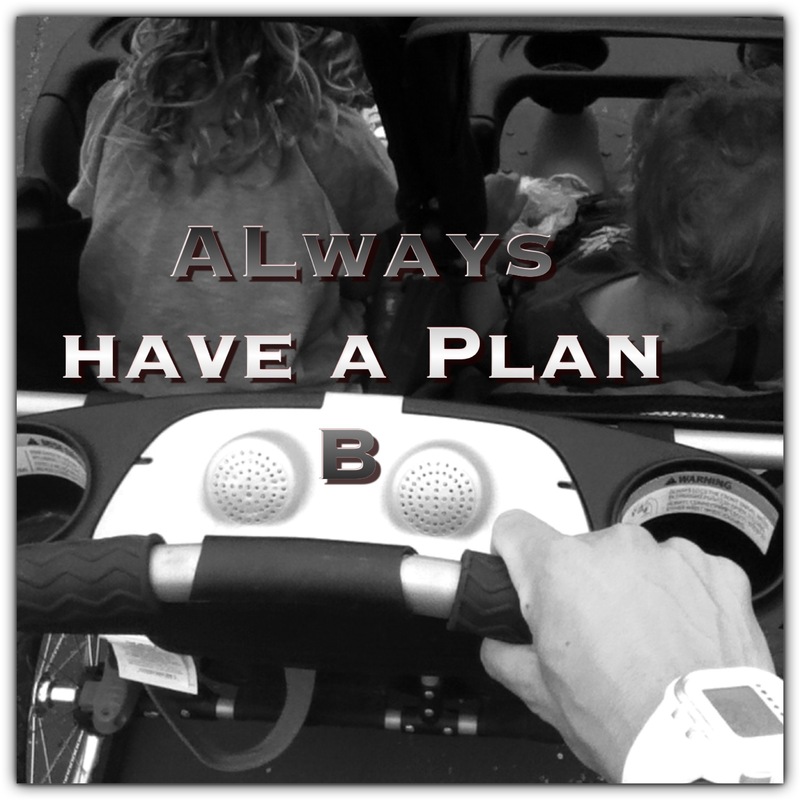 If plan A falls through have a few quick workouts on the back burner for plan B so you are staying on routine and don’t let it discourage you. We all go through seasons in which things aren’t going to look exactly the way you might expect them to. 3. Know that some sort of activity is better then nothing at all. 4. If you get fitness magazines tear out workouts and store them in a binder. I often refer to these when I feel like I need to beat plateau or am just stuck in a rut. Change is good and it’s easy to forget that when we get set in our working out routine. Lastly, When these things happen don’t give up! Start fresh the next day. I have been away and I am ready to get my blog in order and start sharing with you again! Some exciting things have kept me from keeping up over the last four months! My husband and I are expecting our 3 baby GIRL! I have been studying to obtain my personal trainers certification and hopefully passed my test yesterday! I have been in constant prayer about the direction of my blog, Live Fit’s Local fitness ministry and exactly how I will utilize my training certification when I become certified.